We've all been to conferences and events. The pace is fast, the socializing is intense, the sleep is fitful, the alcohol is flowing and the recharge time is all but nonexistent. Even the days before a conference can be stressful. Your plane may be late or cancelled, and your kids need to adjust while you’re away, which also means extra time before the event for planning and communication. As the TimeXtender team ramps up for Qonnections, the Qlik user conference, it's easy for us to forget our core value of mindfulness and of the importance of taking time to recharge. We’re so busy that we don’t think there is room to connect with our deep selves. And while we cannot entirely forget that pleasant sensation when we do take time to recharge, it's often more familiar to put it on the back burner until after the event. There never seems to be any free time at these events, right? Every sales person is booked from dawn to far past dusk, cramming their calendars full of meetings, demos, cocktail parties and any opportunity to shake hands with a potential partner. 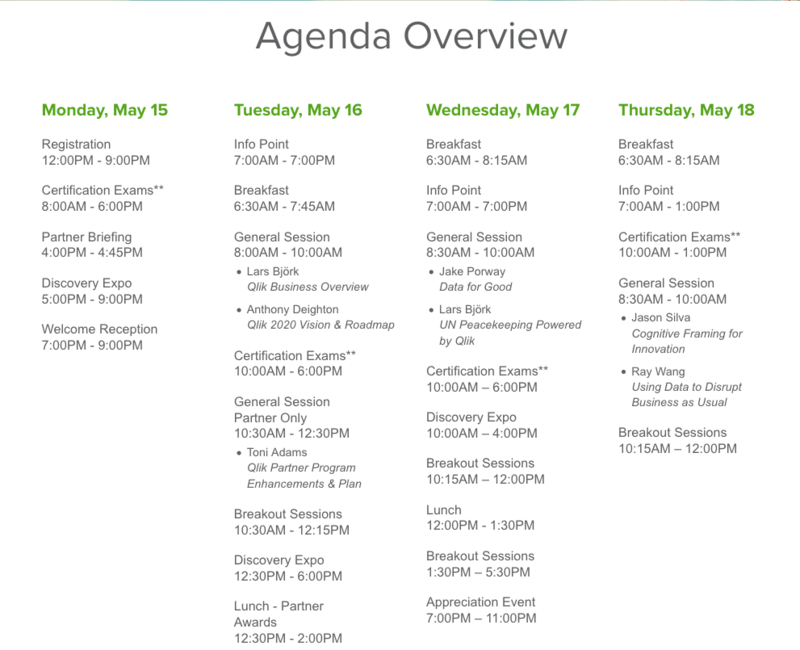 The attitude is that every single moment spent at Qonnections is so valuable that we can't waste a single one. The trap is, of course, that when you push yourself too hard and don't take time out to breathe or recharge, you actually end up being less effective at the event. Make a plan. Choose three focus points a day that you want to achieve. Perhaps key sessions you want to attend, people you want to meet and connect with or booths you must visit during the conference. Just the top three things. Write them down. Take a minute to be silent. At the beginning of each day, before you head out, take one minute to be silent in your room. Just one minute to connect to yourself and be aware of your surroundings. A minute of pure BEING instead of DOING. Then check your list of three focus point to remind yourself of your focus of the day. Why a minute of silence? Surrender control. Just give it up. We all know that we can only control so much, so why put all that energy in trying? Work hard, do the best you can and then let it go. Accept the outcome. Just be with what is there. Observe what is there, feelings, thoughts, body sensations, people and surroundings, all without judgment. You'll feel freer, better be able to cope with difficulties and have a deeper sense of connection with yourself. Give yourself time to move. Mindfulness and exercise make the perfect pair because paying attention on purpose means paying attention to each part of your body. Go for a walk, do some stretching or whatever activity relieves and refreshes you. Be your own best freind. It is important to be loving and supportive of yourself. Nobody is perfect. And not all of us love to socialize 24/7 (including me by the way!). When you feel overstimulated, just walk away. Go for a walk outside, make a quick stop at the rest rooms and then come back when you’re ready. Have fun and smile. Becoming mindful of your smile is one way to ensure people feel you’re welcoming and kind. Let you light shine and enjoy. Research has actually shown that a smile can change the neural paths in our brain from feeling stressed to feeling happy. If you can’t seem to get started but like the idea of trying to be more mindful during #Qonnections, I'd love to invite you to visit the charge up section at the TimeXtender booth. Sit down, put on our headphones and be guided through a brief one-, two- or three-minute meditation recharge.